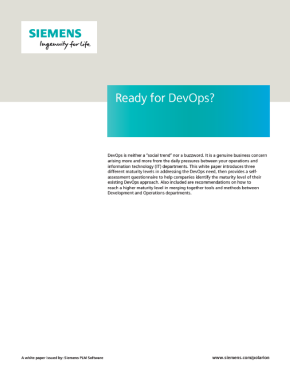 Download now: "Ready for DevOps?" existing DevOps approach. Also included are recommendations on how to reach a higher maturity level in merging together tools and methods between Development and Operations departments.